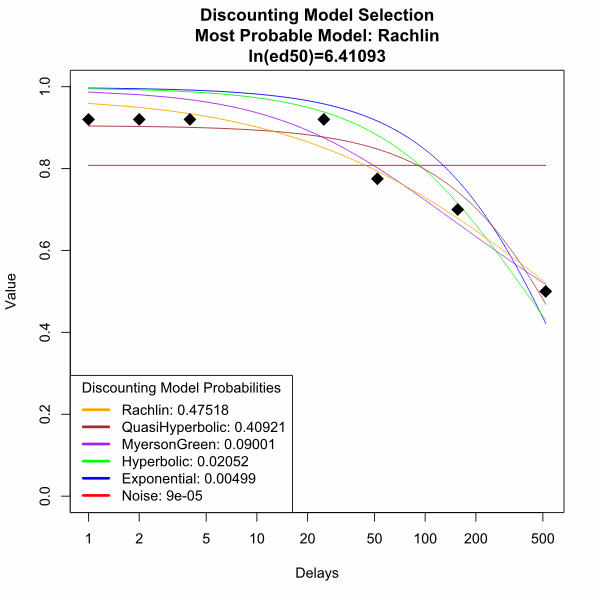 The Discounting Model Selector is a cross platform computer program that automates approximate Bayesian model comparison methods. This program allows researchers and clinicians with to perform an empirical comparison of Discounting models for individual and batched series of data. While robust and powerful, many of these methods require specialized statistical and programming skills to perform. 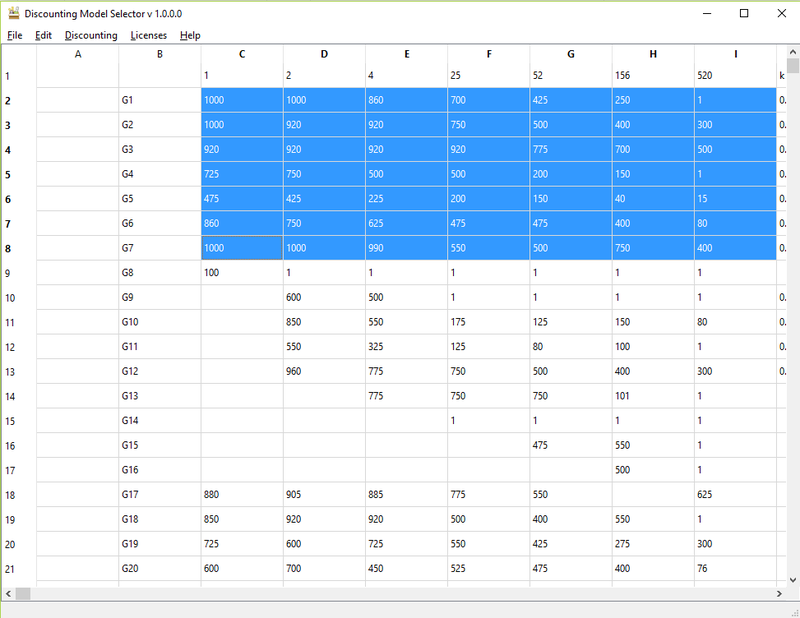 These complex methods have been simplified by Discounting Model Selector through the use of an easy-to-use interface resembling common spreadsheet software. All computations can be performed solely with "point and click" types of operations (no programming experience necessary), though all source code and script file are are publicly shared via Github. Discounting Model Selector emphasizes a straightforward, familiar and easy-to-understand interface. Built with the aim to emulate the traditional spreadsheet experience (i.e., point and click, highlighting, etc. 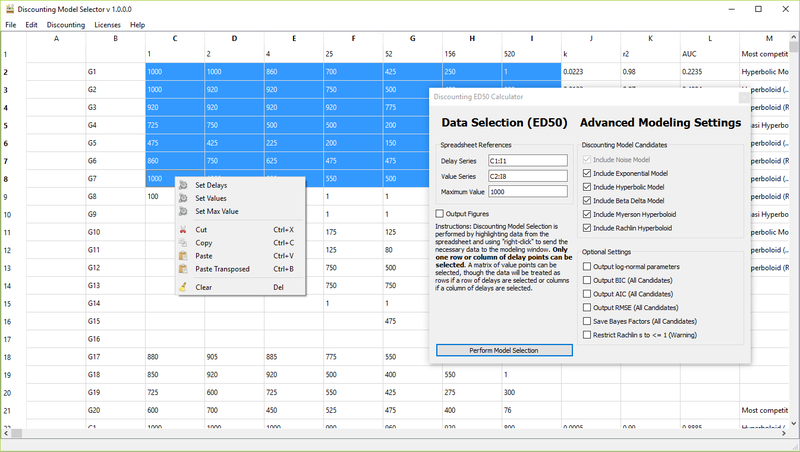 ), Discounting Model Selector enables users with varying levels of technological expertise to manipulate large quantities of data apply complex statistical methods. Discounting Model Selector allows users to analyze and compare a range of common models of intertemporal choice (AKA delay discounting). The model available include Samuelson's exponential model, Mazur's hyperbolic model, Laibson's quasi-hyperbolic/beta-delta model, Myerson and Green's two-parameter hyperboloid model and Rachlin's two-parameter hyperboloid model. Discounting Model Selector provides automated access to rich graphical capabilities. After the results of model competition, visual illustrations of all models fitted/compared are shown to the user using rich graphical methods. The figures displayed to the user exported to a range of formats.